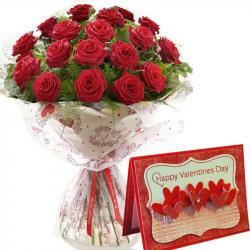 Product Consists : Bouquet of 20 Red Roses along with Valentine Greeting Card. 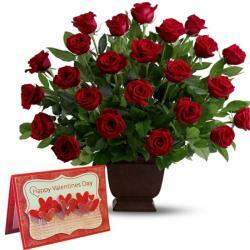 Stunning roses arrangement to your dear one in India through Gift Across India. Bewilder your love ones with this exotic roses basket as your exclusive gift with other gifts like valentine candles. Red rose is the symbol of love it can be used to propose to your love ones. 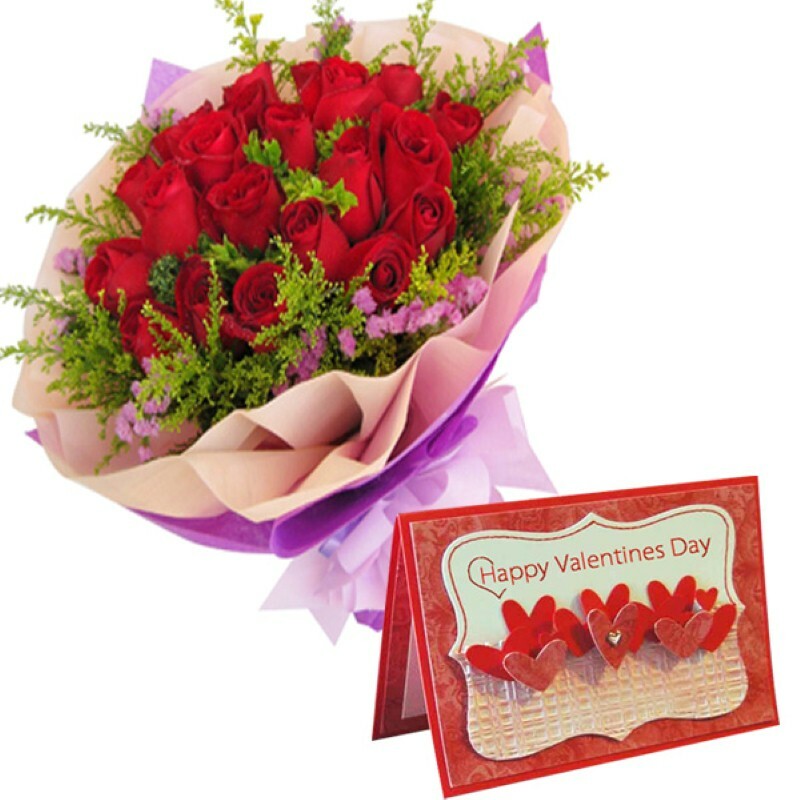 The red colored roses bouquet with the greens fillers make this flower arrangement more exotic and beautiful with the greeting card. 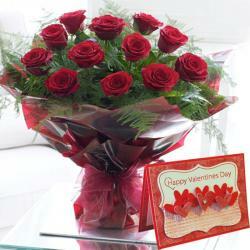 Roses is forever bouquet which can any one like and get happy while receiving it. It is a perfect gift set to touch hearts of love ones on special events like Valentine Day. Give a super surprise to your love ones on this valentine love season. 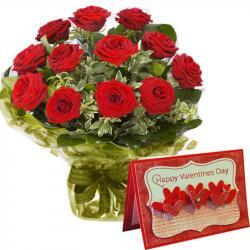 Product Includes : Bouquet of 20 Red Roses along with Valentine Greeting Card.